Every time your home requires maintenance or improvement, it seems that you require a new tool to complete the job right? This unfortunately means a trip to the closest hardware store. It’s understandable that this may cause anxiety and procrastination and means that a lot of day to day maintenance jobs never actually get started, let alone completed. Just think about it; need to hang up that artwork? You will most certainly need picture hooks. Next thing the shower is leaking. Now you’ll need gap filler and a caulking gun. Next, the bathroom door decides it doesn’t want to close after all that rain. Now you’ll need a sander or at least some sandpaper. The examples are endless. Long story short, STO Property Maintenance Group can help you to reduce the number of trips that you have to make to the hardware store by giving you our comprehensive list of the must have tools and materials every newbie homeowner should have around the house. Making use of our list will help you to be more effective at maintaining your own property and will also reduce time wastage. Caulking gun: essential for fixing leaks in the kitchen and bathroom, and very effective at squeezing gap filler accurately. Duct tape: the perfect quick fix, duct tape is applicable to so many problems and mediums and may save you in your time of need. Torch: consider having more than one in a few locations around the house, you never know when the power may go out. Hammer: every household needs a hammer. Even if you only ever use it to hammer in a picture frame hook, you will not regret having one around. Hand saw: these are perfect for small DIY projects around the house, such as shortening the curtain rod you just bought. These days they’re very light weight and manageable. Ladders: ladders can make the simplest DIY projects much easier. Even useful for dusting or removing leaves from the gutters. Level: this is a useful tool and will have you hanging perfectly straight picture frames in no time. Picture-hanging tools: such as wire, hooks, nails and screws. How often have you needed that one extra hook or nail. Buy these in advance and you will save yourself much frustration. Pliers: pliers are a very helpful tool that can help you get a stronger grip on the nail, screw or wire you’re trying to loosen or tighten. Plungers: a home essential that will save your bathroom when you have a clogged toilet or drain. Simple and easy to use and will help you to avoid the cost of a plumber. Power drill: the cordless power drill is a good item to have in every home, as it will make any DIY job much faster, more efficient and accurate. Safety glasses: these can save your eyes when mowing or whipper snipping the lawn, or when cleaning with heavier products such as bleach. Screwdrivers: a must is a good set of screwdrivers or varying sizes. Ensure you purchase phillips and flathead to ensure you can screw in any type of screw. Staple gun: this is a great tool for quick fixes, especially in upholstery or canvases. Stud finder: many people don’t bother with this gem of a tool. But we cannot stress the importance of a stud finder enough. Both because it will prevent you from drilling into wires and will ensure that you don’t hang paintings on bare gyprock. Tape measure: a tape measure is a must have item. Gone will be the days where you guess whether the couch you want will fit in your living room. Utility knife: these are great for unpacking boxes and when opening new items of furniture. Wrench set: a wrench set with many sizes is another essential item for the household’s toolkit. The DIY bed construction or table build will be much more bearable with a good set of wrenches. Needle Nose Pliers: these are essential for every homeowner and are considered both holding and cutting pliers. They are a great tool for bending, repositioning and cutting wires. 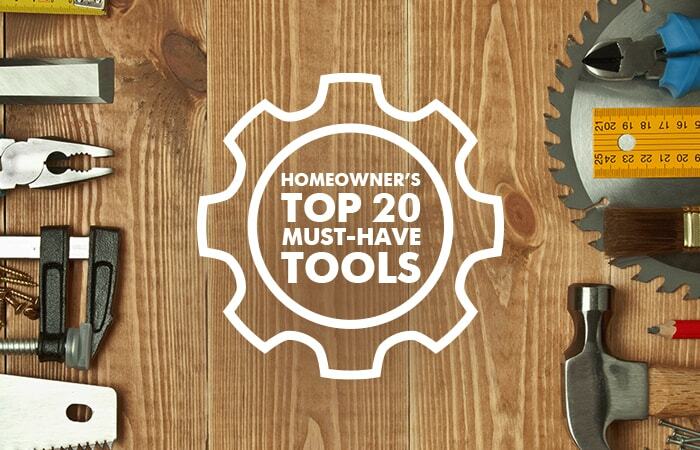 They offer one tool convenience. Putty Knife: this is a specialized tool used for working around the edges of glass or tiles. This is especially useful when sealing bathrooms or kitchens or even when painting to scrape away any excess paint. STO Property Maintenance Group today. We are the sharpest tools in your shed and we’re available for you now.